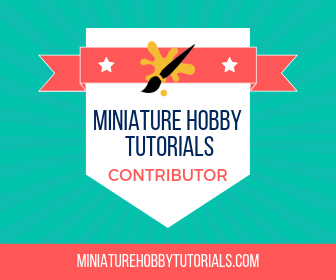 This week I did a quickie paint job of this mars rover miniature for Terraforming Mars. This model is a replacement first player marker for the game, which you can find over on the Board Game Geek web store. I love this game and am fascinated by Mars in general, so buying this upgrade for it was a no brainer. For the paint job, as this is supposed to look like it is in rough conditions and it's a board game piece, I wasn't too worried about being detailed or super clean on the paint job. So it was mostly all drybrushing and some washes. 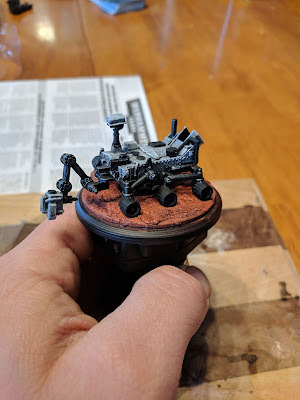 The base was done in the standard Mars basing I do for my Warhammer 40,000 armies. I'm also planning to weather him with powders to give him a really nice dusty Mars inhabitant look. Of course, that means he'll need his own baggie in the game box to keep the powder in check until the loose pigments all fall off. 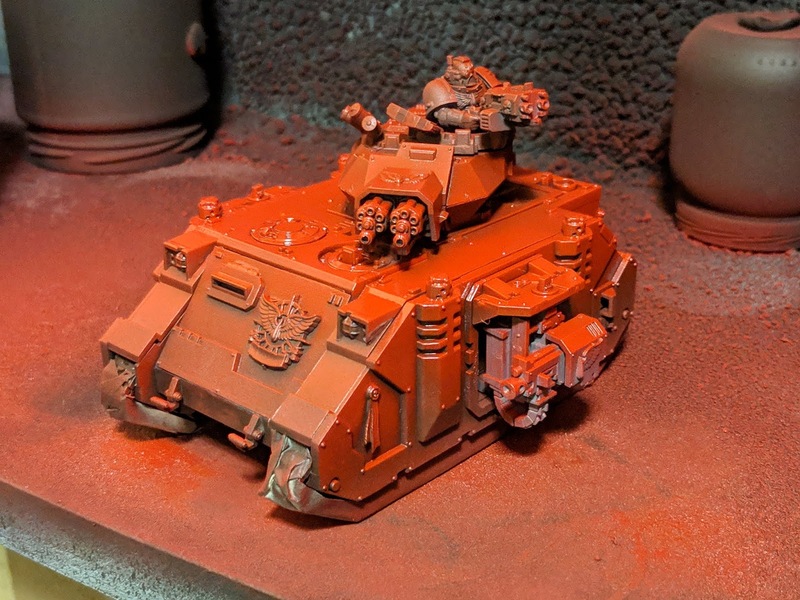 The next model for the Blood Angels is a tank! A Baal Predator tank, that is, and it's going to be sweet! For this one I had to finish assembling it and I magnetized the turret weapon options. Once that was finished I primed the main body with Black and Rhinox hide, then added the side arms to it and sprayed it with Army Painter Dragon Red from above. This does most of the painting work for me and now I just have to go in and tweak shadows and highlights on it. The side arms were taken off and sprayed black, along with the turret weapons. These will be drybrushed with silvers and washed with Nuln Oil. I'm hoping to get some solid progress on him tonight. That's pretty much it for now. If you're in the US, like me, Happy Thanksgiving! Coming along nicely! I love that Mars rover model, such a nice piece.